Spinal decompression is one of the many treatments that you can receive from a certified chiropractor. They understand how important it is to relieve the pressure that can be in between the vertebrae of your spine. When you go to a chiropractor, they will assess your situation physically, looking for problems that may be causing your back pain. If they determine that this treatment option will be the best for you, they can start you on one right away. Let’s look at what spinal decompression is and how it works. This is a nonsurgical strategy that is implemented by chiropractors to help people that are experiencing back pain. It is a way of stretching the spine. You have probably seen advertisements for inversion tables where people are hanging from their feet in order to decompress their spine. Although these products may work, it’s better to get this type of treatment from a professional that will have the best equipment. They will also be able to monitor your progress each time that you come in. They will also make adjustments to your spine, helping to improve the speed at which you are able to find back pain relief. How Can Spinal Decompression Treatments Reduce Back Pain? This inversion therapy is capable of treating many different problems that people may have. If you have sciatica, neck pain, or back pain, this stretching of the spine can relieve the pressure. Essentially, it removes the pressure from the gel like material in between your spinal discs. This can help prevent herniated discs, degenerative disc disease, and bulging discs that can cause significant amounts of pain. If you currently have worn spinal joints, or if you have diseased or injured spinal nerve roots, this therapy should be able to help. You will need to work with a professional that has years of experience in this industry, and that is why you should contact a local chiropractic clinic. The chiropractic center that you choose should specialize in reducing back pain through a wide variety of chiropractic treatments that they offer. 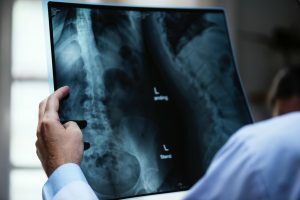 They should implement the latest chiropractic techniques which can be hands on treatments, or they may use inversion tables and different devices. If it is determined that spinal decompression treatments will help you the most, they can get you started right away. They will ensure that you are able to start feeling better in the shortest time possible. What Other Treatments Do They Offer? Other treatment options that they offer will include treatments for pinched nerves. 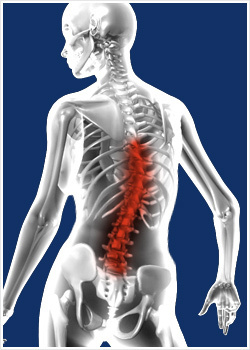 This is also caused by compression, specifically of the nerves in your spine which can cause pain or numbness. Many people suffer from lower back pain as a result of lifting something in properly, or because of sitting for extended periods of time. If you are suffering from neck pain, they can diagnose what is causing the discomfort and make corrections to your spine to reduce the pain you are feeling. Spinal decompression treatments are one of the best ways to eliminate excruciating pain that can radiate in your lower back, neck, and throughout your spine. After an initial examination, they may start you on these treatments the same day that you come into start alleviating the discomfort that you are feeling. Back pain can be one of the worst types of pain that a person can feel, leading to debilitating conditions. 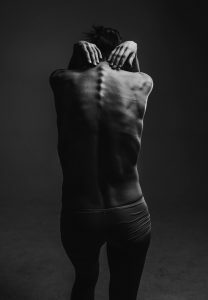 If you are interested in finding a way to lessen the amount of back pain you are feeling, you may want to contact the professionals at Rocky Hill Chiropractic if you are in the Rocky Hill region of Connecticut in Hartford County. Click Here If You Are Interested In Spinal Decompression!